Dr. Balram Srivastava (b. 1930) a reputed scholar of Indian Art & iconography was mostly educated in Banaras Hindu University and obtained PhD degree from the same University in 1964. He was Assistant Curator and subsequently Curator in the Sanskrit University Museum, Varanasi, from 1959-1964. He joined the Deptt. Of Ancient Indian History, Culture and Archaeology, Banaras Hindu University in 1964. Under the UGC grants he has thoroughly explored the Orissan art-regions and at the invitation from Nepal he has also explored the Vagamati Valley in Nepal. He was invited with a travel grant by the Australian National University to read a paper on the Foundations of Early Mediaeval Art' in the 28th. International Congress of the Orientalists, held at Canberra in 1971. At present, he is working at the Indian institute of advanced Study as a Visiting Fellow on the Orissan Art and Iconography. Besides a score of research papers on the different aspects of art and Indian Culture he has following books to his credit. Sikandara ka Akramana aura Paschimottara Bharata, 1956. Trade and Commerce in Ancient India, 1968. Pallava Itihasa Aura Usaki Adhara Samagri, 1969. Iconography of Sakti-a study Based on Sritattvaidhi. 1978. In India there is long tradition of aesthetic studies. Modern scholars, however, have given profound and deep thoughts to the subjects in relation to poetics and metaphysics. 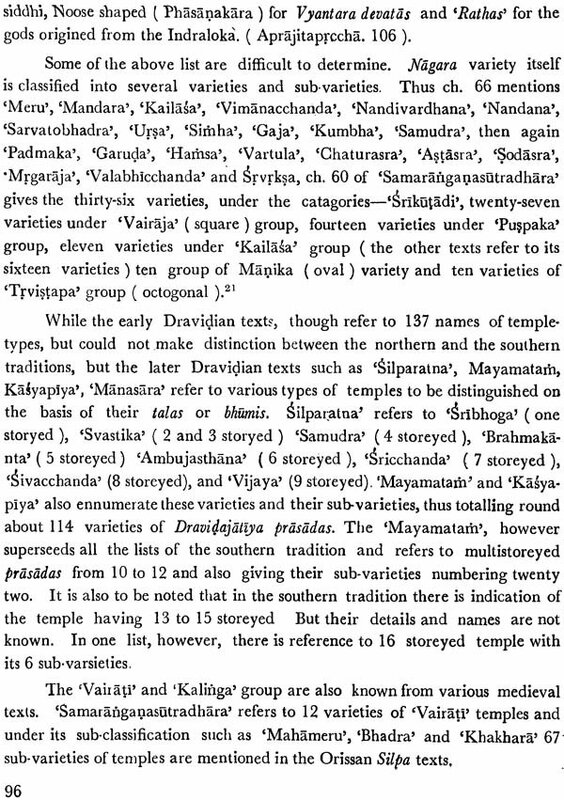 The vast silpa texts have been studied from the point of view of iconography, iconometry, architecture and to some extent painting. The aesthetic aspect of the silpa texts and the determination of their nature in relation to audo visual art or the fine arts has been ignored; therefore it appears to be an imperative task. The present work is an attempt to this direction in a most humble and modest way. Religion has been the most dominating factor of Indian art. In the chapter I the role of religion in the determination of the nature of Indian aesthetics has been discussed with the suggestion that due to religion Indian art is set in two significant aspects, functional to suit the religious sensibility and beauty in relation to the aesthetic sensibility-the goal of both the aspects of art being the bliss. The poetics and metaphysics as the study of aesthetics interplay significantly with their roles on discussing the elemental aspects of aesthetic and provide a sound basis for the determination of nature of Indian aesthetic on moot points, particularly in relation to imagination and intuition as the mental process of creativity, similar to the yogic Dhyana, determination of form and beauty and the experience. Foundations laid by these two important branches of aesthetics were found suitable for the framework for the determination of the nature of aesthetic material in our silpa texts. 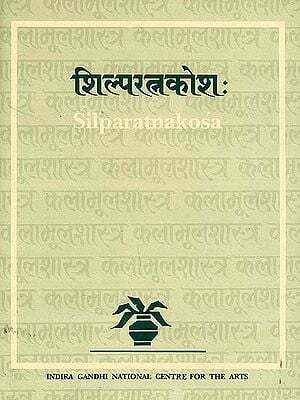 The vast material of the silpa texts as presented in the non-canonical and canonical literature preserve out art-tradition and present the aesthetic aspect as a physical fact', but with true and correct vision at the aesthetic situation, form, content and their relationship with beauty. They indicate two significant factors as the essentialities in achieving beauty through the material medium. One is laksana and the other is prajna. The laksanas conditioned by mana bring proportion, symmetry, harmony, sublimity, even the identity and imitation. The prajna which should be inherent in the artist and has been defined by Vamana as the power of ever-new creativeness is constituted according to Rajasekhara by genius, imaginative intuition, culture and practice. By the factor of pratiba an artist not only visualizes beauty but creates beauty in the things of art. The various treatise on painting are discussed in the chapter VI. Here an attempt has been made to present the subject in the coherent manner related with the form, the content, the material, the technique and other related matters of the principles of traditional Indian painting. Our theorists have remarkably indicated the essential unity of all arts together with the suggestion that not only the arts but the various vidyas have the interlinkedness among themselves. In relation to painting it has been boldly asserted that the rules of dance and drama are the source of the rules of painting. My approach to Form and Similitude is to indicate how there were various ways of realizing the form and achieving its end as Similitude in relation to an image. Not considering the iconographic aspects, I have located the standards for imitation in relation to similitude one darpane pratibimbavat or yatharupa and the other visualization of form through the mental process of Dhyana, bhava and Kalpana. The Lokavrttanusarana or lokanukrti has been recommended by the Sastric precepts from Bharata to Visvanatha as the key-note to the principles of form and Similitude. The last chapter is devoted to the concept of beauty and the aesthetic experience. Realizing it is better to feel beauty than to speculate on beauty, the various suggestions in relation to beauty of the ancient theorists have been evaluated here not only in relation to object but also in the terms of experience. The aesthetic experience has various levels-from pleasantness and tasty on worldly level to lokottara on mystic level. But here the aesthetic experience is considered mostly under the concept of rasa. It is clearly indicated that the aesthetic experience in terms of rasa though higher than usual experience, of pleasure and pain is actually the identity of one's own experience, which is reflected in the fact of art. Aesthetic instinct is deeply seated in human nature. Therefore our traditional speculations about the aesthetic elements find occasional commonness with the aesthetic speculations in the West. Where the suitable occasions are distinct, I have attempted to locate semblance of thought between Indian thinkers and the thinkers of the West. Being the universality of aesthetic experience as the most significant feature, it serves as a bridge, not only in the thinkers of the East and the West but also a binding factor among the all arts. I am glad to offer my heartfelt thanks and blessing to M/S. 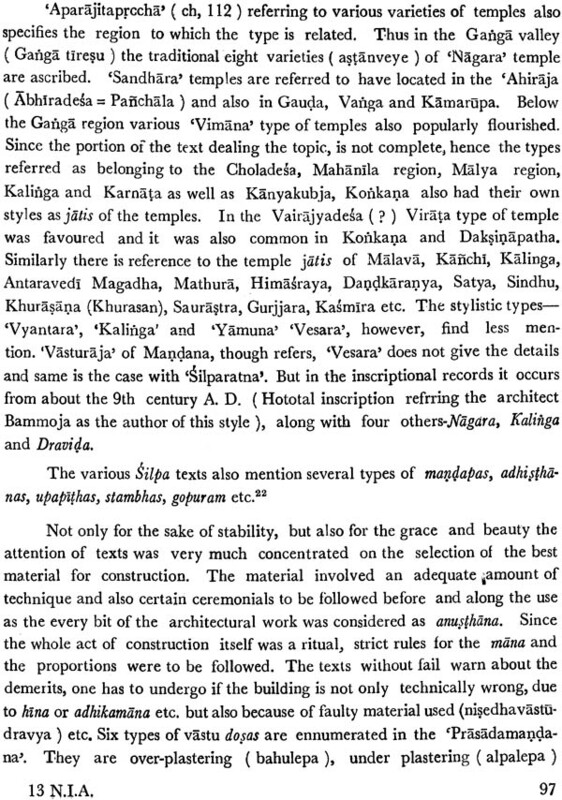 Chaukhamba Orientalia, Varanasi, for accepting this book and bringing it out so nicely. The sincere service of Dr. L. M. Tiwari, the editor of Chaukhamba Orientalia, is thankful appreciated for bringing out the work successfully.